BSF Recruitment 2019, 1250 Constable & Other Vacancies, Apply Online @ bsf.nic. BSF Recruitment 2019: Border Security Force invites online application from qualified candidates. 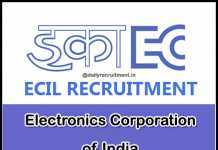 Recently it has published the recruitment notification for Head Constable (Radio Operator) & Head Constable (Radio Mechanic) posts. Applicants who want to get defence jobs in central govt can utilize this BSF job opportunity. As per the BSF notification, totally 1072 vacancies are allocated for this recruitment. Interested and qualified aspirants can apply to this recruitment from 14.05.2019. The last date for submission of online application is 12.06.2019. You may get the BSF online application form 2019 and notification from official website. BSF will select the candidates on the basis of written test, PST, PET & documentation. Applicants must have possessed Matric/ 12th/ ITI in relevant disciplines from recognized board or institute. Aspirants should have attained the prescribed age limit and relaxation. You may apply to this BSF bharti 2019 through online mode only no other modes of application will be accepted. More details of BSF jobs, upcoming notification, merit list, latest vacancies, result and etc. are given in official website. You may visit BSF Recruitment page to get more details about this recruitment. Here you will get information like educational qualification, age limit, application mode, fee and how to apply. Keep check www.dailyrecruitment.in regularly to get latest updates. BSF allocates overall 1072 vacancies for this recruitment. Post wise vacancy details are given below clearly. Applicants must have possessed Matric/ 12th/ ITI in relevant disciplines from recognized board or institute. BSF will select the candidates on the basis of written test, PST, PET & documentation. You can apply to this recruitment via online. Rs.100 for Gen/ OBC candidates and no fee for SC/ ST/ Female/ BSF serving Personnel candidates. You should make the payment via SBI online payment gateway. Go to official website bsf.nic.in. Click “Recruitment” find the advertisement no “BSF L/No. 18/09/2019/C-Rectt/BSF4114-4405”. Applicants who have fulfilled the above eligibility, those candidates can apply to this job easily. Do not miss the wonderful career opportunity in BSF. Aspirants kindly watch this page regularly for upcoming changes in BSF Constable job 2019. For more accurate information about this BSF job notification, check their official website. BSF Recruitment 2019: Border Security Force (BSF) is inviting offline applications from well qualified candidates for recruitment of Law Officer Grade-II Post. As per BSF government job notification, particularly 01 vacancy is allotted for this recruitment. Willing and eligible candidates may send their prescribed application form along with all relevant documents/ certificates to given below postal address on or before the last date. Download BSF Group-II Law Officer job notification and application form through BSF careers page/ official website (i.e. bsf.nic.in). Candidate should have completed prescribed educational qualification (i.e. graduate degree in law) and age limitations. Selected candidate shall be engaged on deputation/ re-employment basis. The last date for receipt of application is within 60 days from the date of Publication in Employment News Weekly through proper channel. Incomplete and applications received after the last date will be rejected. For more information about Border Security Force (BSF) Recruitment 2019, candidates may check the official website @ bsf.nic.in. Graduation in Law/ equivalent from any recognized university/institution. Check details of age limitation in BSF official notification given below. Check more details of BSF selection process in official job advertisement given below. The Deputy Inspector General (Pers), HQ DG BSF, Block No.10, 05th Floor, CGO Complex, Lodhi Road, New Delhi. Read the notification correctly to check your eligibility for BSF post. BSF Recruitment 2019: Border Security Force currently has 63 vacancies at all over the country. It invites offline application from eligible sports candidates. Recently it has published the recruitment advertisement for Constable (GD) posts against Sports Quota. 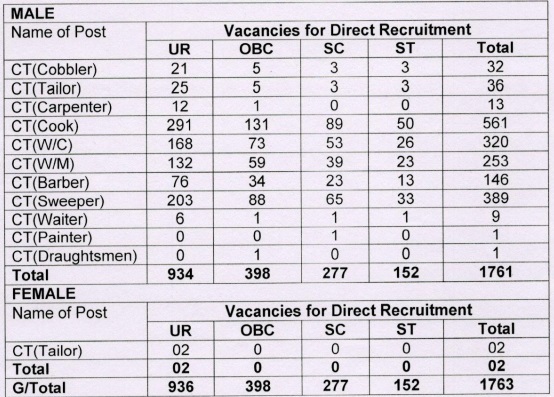 As per the BSF recruitment notification, these 63 vacancies are allocated for Constable Posts. Applicants who are seeking defence jobs in central govt can use this chance. Eligible candidates should send the filled application form to given address within 30 days from the date of publication in employment news. BSF recruitment application form and notification is available in official website. Applications received after the due date or incomplete applications will be rejected. Applicants must have completed 10th or equivalent from recognized board. Candidate’s age limit should be 18 to 23 years. Selection will be based on physical efficiency test/ trail test/ medical examination. Selected candidate will be appointed as Constable (GD) in Border Security Force. More details of BSF jobs, upcoming notification, merit list, latest vacancies, result and etc. are given in official website. You may visit BSF Recruitment page to get more details about this recruitment. Here you will get information like educational qualification, age limit, application mode and how to apply. 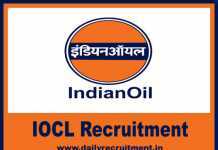 Keep check Daily Recruitment regularly to get latest updates. Applicants must have completed 10th or equivalent from recognized board. Candidates age limit should be 18 to 23 years. Selection will be based on physical efficiency test/ trail test/ medical examination. You can apply to this recruitment via Offline. Find the advertisement for above said posts click on the advertisement. Finally send it to the given address within 30 days from the date of publication in the employment news. BSF Recruitment 2018: Border Security Force invites offline application from qualified candidates. 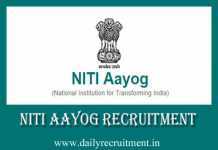 Recently it has published recruitment notification for following posts Inspector, Sub-Inspector, Engineer and various vacancies. Applicants who want to get central govt jobs can utilize this opportunity. As per the advertisement, totally 114 vacancies are allocated for this recruitment. Interested and eligible aspirants may send the filled application form to given address within one year from the date of publication in employment news. You may get the BSF online form 2018 and notification from official website. BSF may select the candidates on Deputation/ Absorption/ Re-Employment basis. Applicants must have completed Degree/ Diploma in relevant disciplines from recognized university or institute. Aspirants should have attained the prescribed age limit and relaxation. You may apply to this BSF bharti 2018 through offline only no other modes of application will be accepted. Application received after the last date or incomplete applications will be rejected. More details of BSF jobs, upcoming notification, merit list, latest vacancies, result and etc. are given in official website. Note: Application received within 30 days from the date of publication in employment news will be considered in first slot. You may visit BSF Recruitment page to get more details about this recruitment. Here you will get information like educational qualification, age limit, application mode, fee and how to apply. 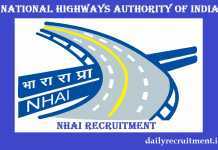 Keep check DAILY RECRUITMENT regularly to get latest updates. BSF allocates overall 114 vacancies for this recruitment. Post wise vacancy details are given below clearly. Degree/ Diploma in relevant disciplines from recognized university or institute. All Posts (except Jr. Flight Engr. ): Candidates should have maximum 52 years. Flight Engineer Posts: Candidates should have maximum 50 years. 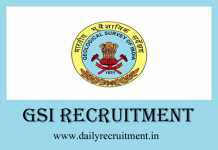 Click “Recruitment” find the advertisement no “BSF L/No. 19/01/2018-Estt/BSF/18614-15”. Back to the page download the application form and fill up the form correctly. Finally send it to the given address within one year from the date of publication in the employment news. BSF Recruitment 2019: Border Security Force (BSF) has announced job notification for recruitment of Commandant (Works) post. Particularly, 02 vacancies are allotted for BSF Commandant (Works) jobs. BSF is inviting offline applications from eligible persons. Eligible candidates may send the prescribed format of application form to the given below BSF address within 60 days from the date of publication in employment notification. Download official notification at BSF official website www.bsf.nic.in. Degree in Civil Engineering/ equivalent from any recognized university/institution. Check more details of selection process in BSF official advertisement given below. Dy. Inspector General (Pers. ), Directorate General, BSF, Block No. 10, CGO Complex, Lodhi Road, New Delhi – 110 003. Closing Date for Submission of Offline Application Form Within 60 days of publication of this advertisement in the employment news. Go to BSF official website -> bsf.nic.in. Find the correct notification and download to read the notification clearly to check your eligibility. Fill all details of offline application form correctly. Finally, send offline application form along with important document should reach concerned office address till the last date. BSF Recruitment 2019: Border Security Force (BSF) has announced notification for the appointment of Constable (Tradesmen) job vacancy. As per BSF Constable (Tradesmen) recruitment notification, totally 1763 vacancies are allotted for this BSF Bharti 2019. It is inviting offline applications from eligible Indian male and female candidates. Willing and qualified aspirants can forward their prescribed application form along with all relevant certificates/ documents to concerned office address till the last date of 03rd March 2019 (For Normal Area) & 18th March 2019 (For Flung Area). Download Official notification and application form at BSF official website i.e. bsf.nic.in. Candidates must have possessed in matriculation or two years diploma in related trades from any reputed schools/ colleges. Candidates should have attained the following age limits like, 18 years to 23 years. BSF will be given preference for multi-skilled candidates. 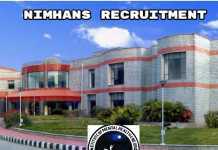 This recruitment is based on temporary basis but likely to become permanent. For more information about Border Security Force (BSF) Recruitment 2019, candidates may check the official website @ bsf.nic.in. Matriculation/ Two Years Diploma/ equivalent from any recognized university/ institution. Physical Standard Test and Physical Efficiency Test. Check details of selection process in BSF official advertisement given below. Check details of postal address in BSF official job notification given below. Click on option -> Recruitment in the bottom of home page. Find the correct BSF constable (Tradesmen) job vacancy notification and open it. Read the notification correctly to check your eligibility for BSF constable (Tradesmen) job vacancies 2019. Eligible candidates fill all mandatory details of offline applicaiton form and attach necessary documents. Sir, I completed class 10th.Can I apply for bsf constable cook. Sir bsf 1084 post ka postal address kya h…. Please sand ……my number 981071…. Hello sri my name is Krishna Nath. Bsf ki completed postel address me. mobile no. to pura send karo aap…..
Sir my name is pinju boruah. bsf 1074 ka postal address kiya hai?? But muje addres to pata nehi pls send to adesce ok sar. my whatsap no. 8058737207 par aap link send kar do. Hi sir I am VIPUL SHINDE. Maine BSF ka Paramedical 2017-18 ka offline form submit kiya hai lekin uska admit card abhitak aaya nahi hai . uski exam kab hai please contact me 8975235965. Plz sir need me thise job im very intrested for job jai hind my mo no 913112…. I HAVE MECHANICAL DIPLOMA , DO LET ME KNOW IN CASE OF ANY CONCERN .